Invest in yourself and grow your career. If you are looking to grow your career in the legal IT industry, you’re in the right place! 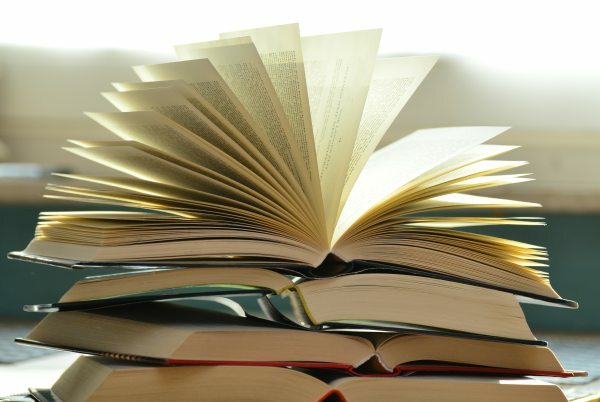 ILTA has compiled resources that we think you’ll find helpful. Click the tabs below and explore. And be sure to explore case studies and implementation sections. Get the right skills to lead your team. If you are looking to grow your career in the legal IT industry, you’re in the right place! 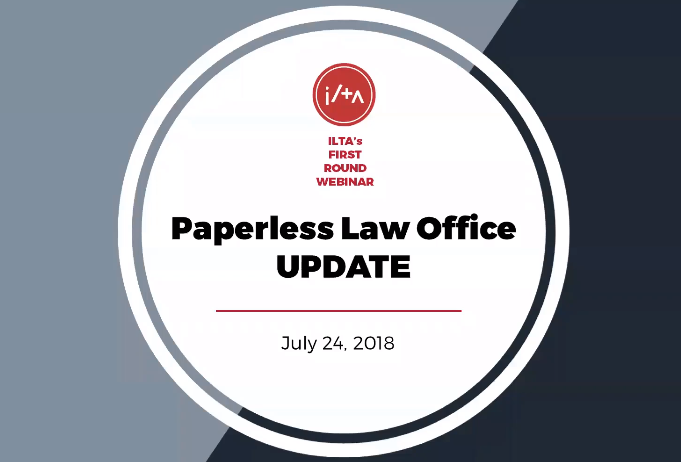 ILTA has compiled resources that we think you’ll find helpful. Click the tabs below and explore. And be sure to explore the implementation and case studies. 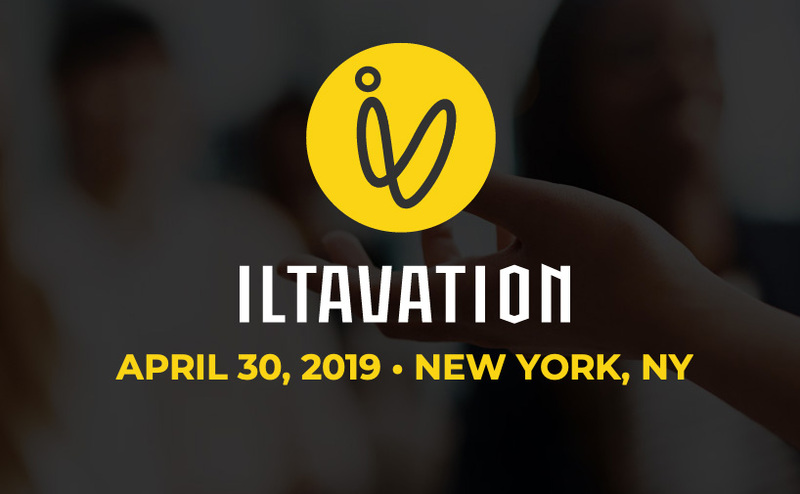 Join your ILTA peers to learn practical and actionable ways to drive change and innovation in your organization. Spend the day practicing ways to make your case with creative communication strategies and simplified forms of innovation methodology, including: design thinking, failure learning banks, project management and advocate drivers. Additionally, you will learn how experiments, betas, and pilots can lower the cost of "buying" permission in process-heavy environments. At the end of the session, you will leave with tangible takeaways and tools to implement change and drive effective innovation. 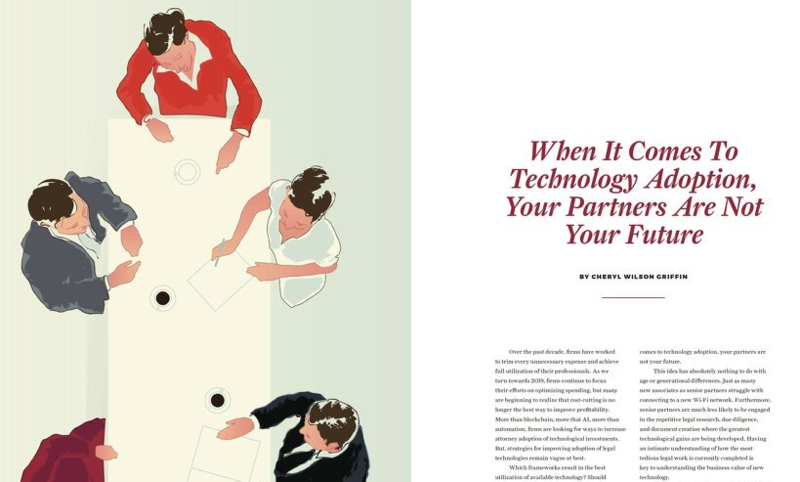 Celebrating on updated look and feel, the Fall 2018 issue of Peer to Peer contains over a dozen articles, including expanded features, case studies, and best practices, along with brand new digital assets and five podcasts. 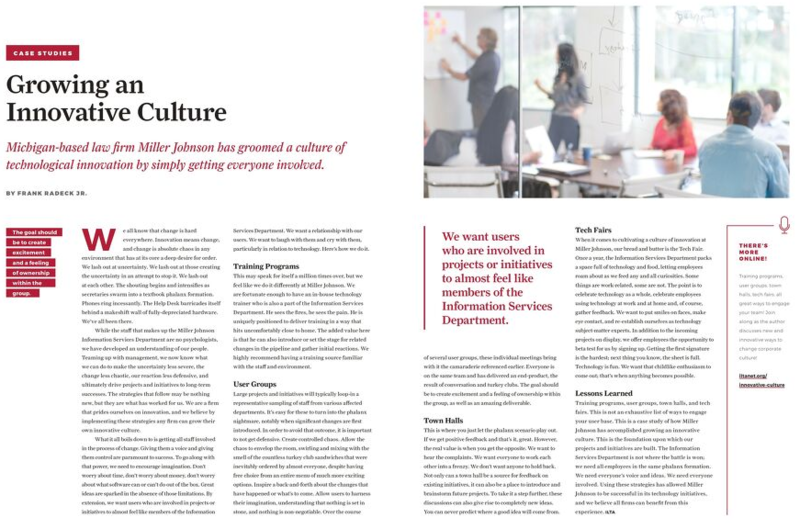 A slew of new quarterly columns showcases ILTA's renewed and innovative spirit. Over the past decade, firms have worked to trim every unnecessary expense and achieve full utilization of their professionals. As we turn towards 2019, firms continue to focus their focus their efforts on optimizing spending, but many are beginning to realize that cost-cutting is no longer the best way to improve profitability. 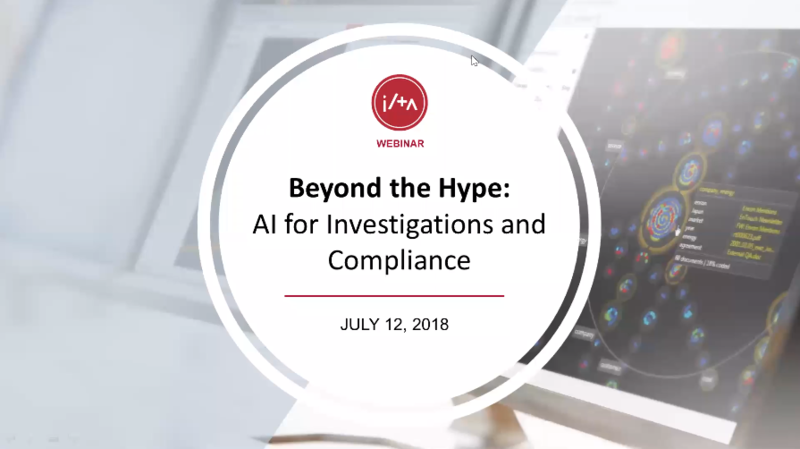 Join us for a deep dive into how artificial intelligence (AI) is changing the game in corporate investigations and compliance. In this webinar, participants will learn about how analytics and machine learning are being applied to identify relevant evidence for investigations more efficiently and to assist in compliance. You'll hear case studies from our panel, learn how to apply this technology and understand what the benefits are for your clients -- including significant efficiency improvements. Data visualization is not just a theory or a frill, it's a powerful and effective set of techniques, processes and applications that can make the ever-increasing amount of data in legal organizations more manageable and useful. Many of us have unveiled amazing and impressive technology which, despite its many virtues, is never well adopted. The lesson: If you build it, they won't come - unless you find a way to get them there. Join us to learn about two novel, creative approaches to increasing awareness and adoption of your knowledge management (KM) initiatives. Today, social media is universally used by people, companies and even governments. Social media users of all ages can target audiences of one or billions. In this webinar, we will be discussing corporate in-house and law firm perspectives on legal operations analytics and reporting. We'll give our thoughts on what analytics we find most valuable and share insights on how to practically reach your reporting goals. However, ensuring that the data is accurate, especially when there may be a high volume of legacy and third-party contracts, can be a time consuming and expensive project for any organization. 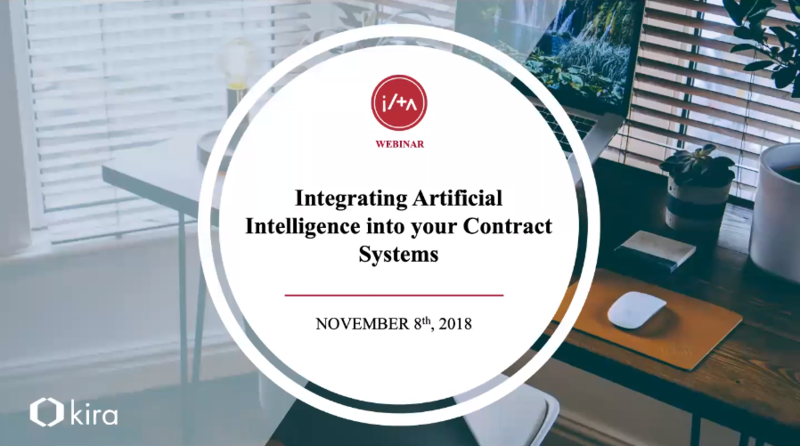 In this webinar, we will explore how artificial intelligence (AI) can enhance both your everyday tasks and larger contract migrations projects. Learn how to leverage the latest AI technologies to streamline the implementation of a CMS, and how it can cut the timeline in half while increasing the overall accuracy of your bulk migrations projects. 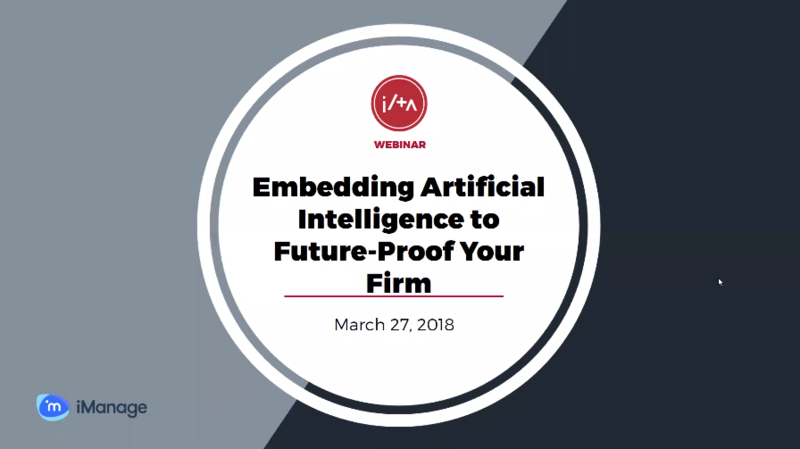 Plus, hear first-hand success stories about how AI can be built into your everyday work to change the way you approach managing your contracts. The trend of new law firm floorplans that skip the big corner offices means that an increasing number of lawyers are choosing to work outside the office. As their laptops and phones get thinner and, at the same time, more powerful, lawyers want the flexibility to work from any device or location - and they want IT to figure out the details. 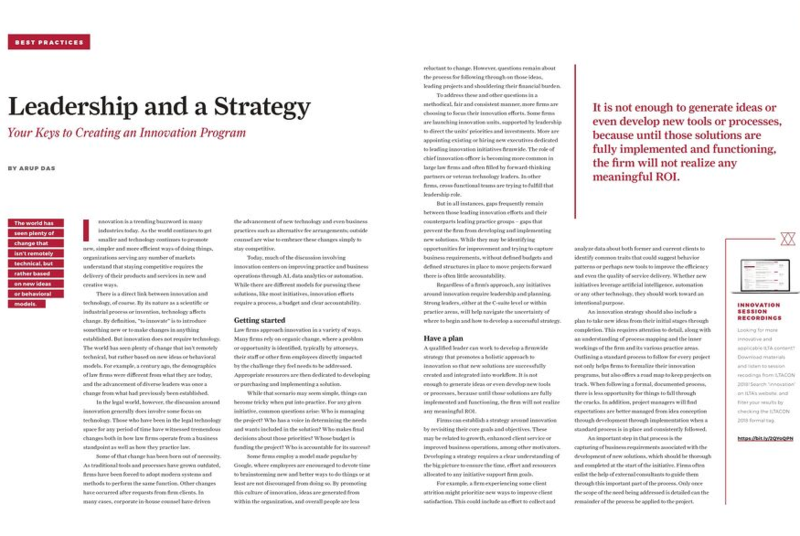 In July of this year, on a roof deck overlooking the National Mall, at an event headlined by Senators from both parties, a large global firm launched its Strategic Communications team. 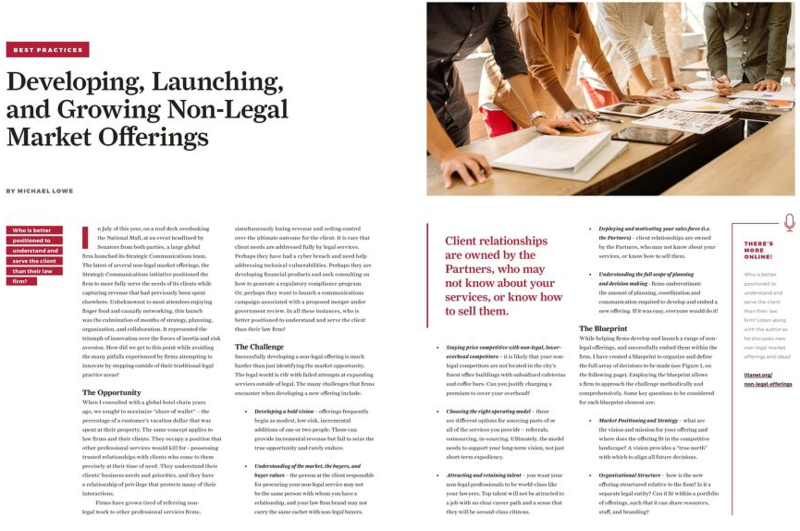 The latest of several non-legal market offerings, the Strategic Communications initiative positioned the firm to more fully serve the needs of its clients while capturing revenue that had previously been spent elsewhere. 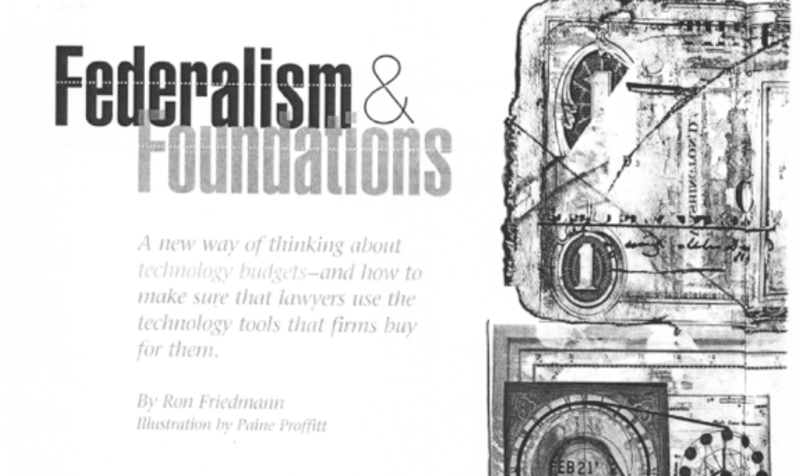 What are law firms doing to provide collaboration within internal groups? 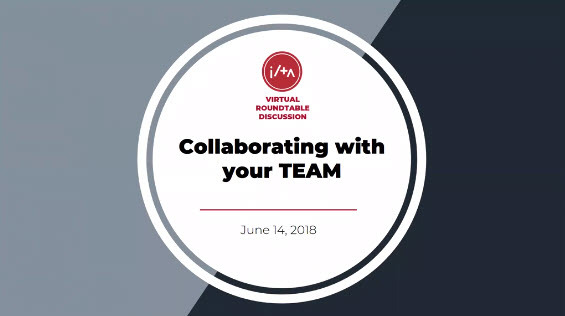 How can team messaging and collaboration platforms be leveraged; how are they being utilized, what has worked? 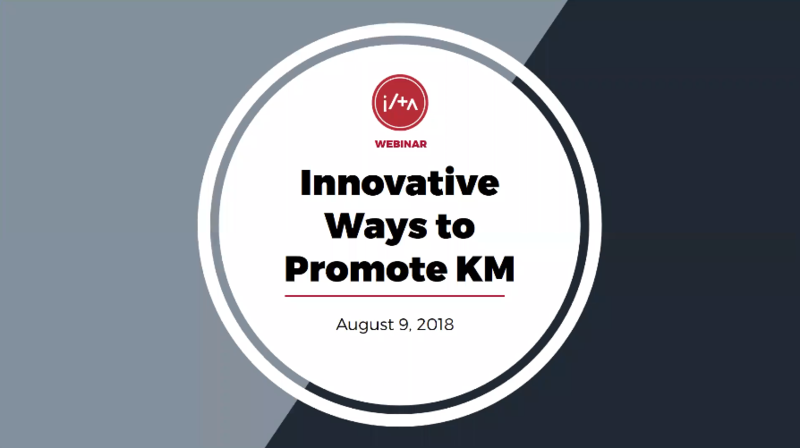 In this webinar, two popular messaging platforms (ThreadKM and Microsoft Office 365 Teams) will be discussed by law firm members currently utilizing them, and we'll get a brief overview of the Office 365 Teams hub, why it's important and how it can be extended for legal application solutions. The legal market remains abuzz with innovation talk and articles. Absent from that discussion, however, is assessing the impact of innovation. I explain here the innovation buzz and assess its current state and impact. Assessing it turns out to be hard, so I include a case study of Ogletree Deakins to illustrate one innovation approach. Three reasons explain the innovation focus. 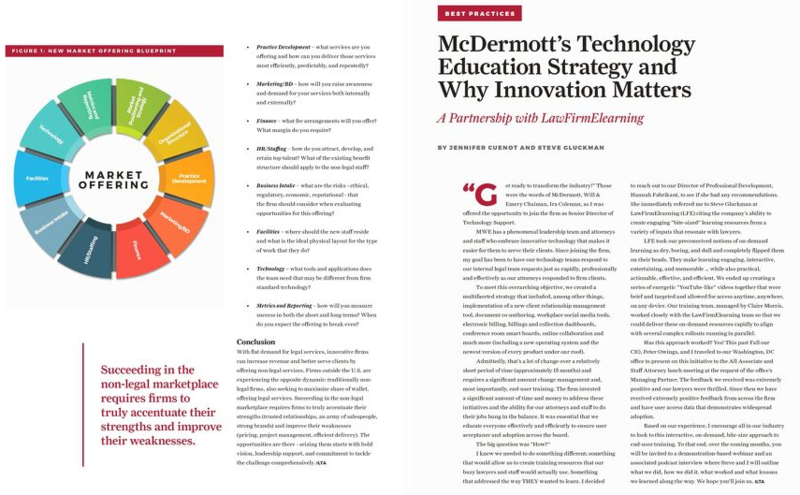 First, clients demand value and use innovation as a proxy for it. Second, as consumers we experience innovation and disruption daily (think ride sharing) and so expect it everywhere. And third, the rise of legal AI–and AI hype–has changed expectations. Innovation is a buzzword these days. We hear about global law firms investing venture capital money in Silicon Valley, or partnering with AI vendors to develop custom software. But what if you work in a smaller organization and don't want innovation to pass you by? In this webinar, ILTA members from small and midsize firms will talk about how they've built a culture of innovation that doesn't require dedicated software developers or hundreds of thousands of dollars. We all know that change is hard everywhere. Innovation means change, and change is absolute chaos in any environment that has at its core a deep desire for order. We lash out at uncertainty. We lash out at those creating the uncertainty in an attempt to stop it. 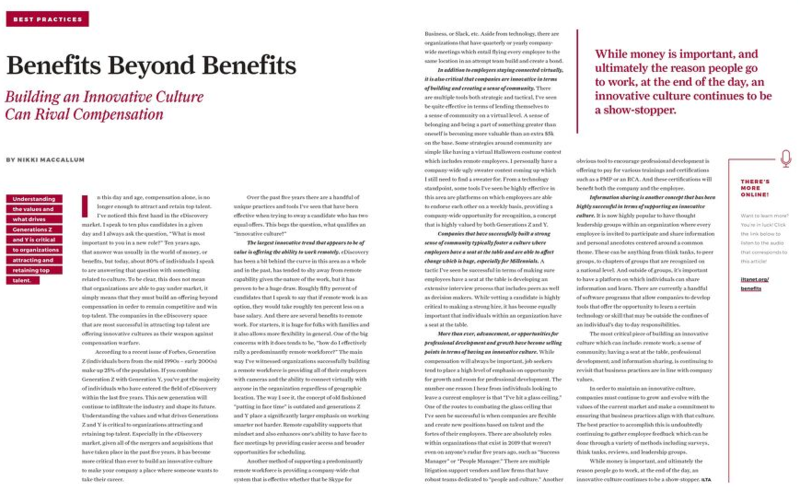 In this day and age, compensation alone, is no longer enough to attract and retain top talent. I've noticed this first hand in the eDiscovery market. I speak to ten plus candidates in a given day and I always ask the question, "What is most important to you in a new role?" Ten years ago, that answer was usually in the world of money, or benefits, but today, about 80% of individuals I speak to are answering that question with something related to culture. 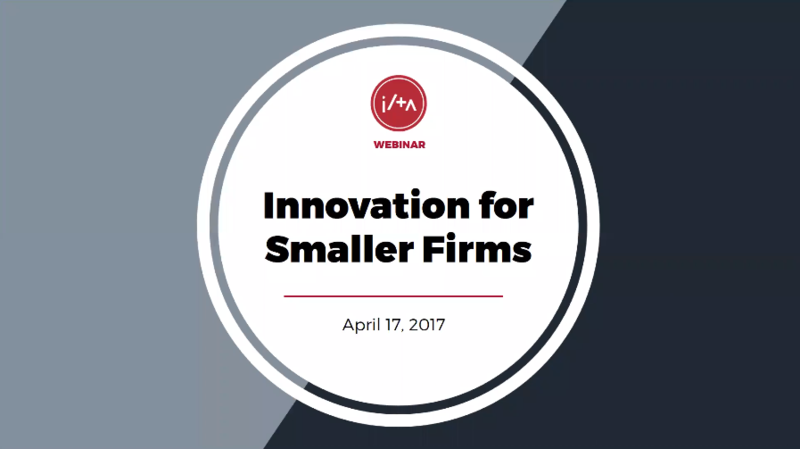 While many law firms have made substantial investments in innovation, a recent survey by Thompson Hine found that 96 percent of in-house respondents reported that innovation was rare or nonexistent. 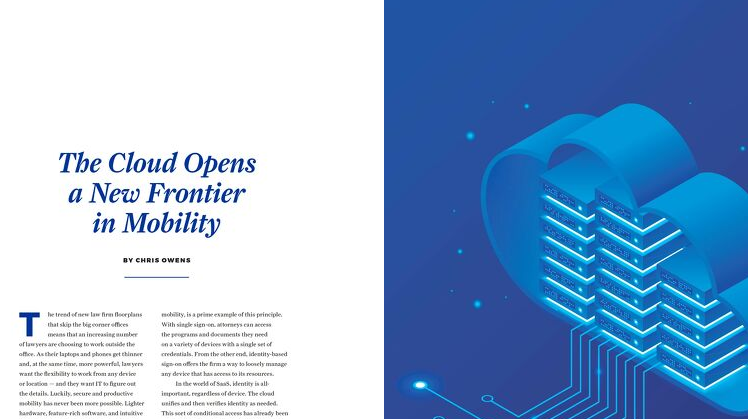 How can firms close the gap between the innovative solutions they create and offer, and client awareness of their availability and potential benefits? 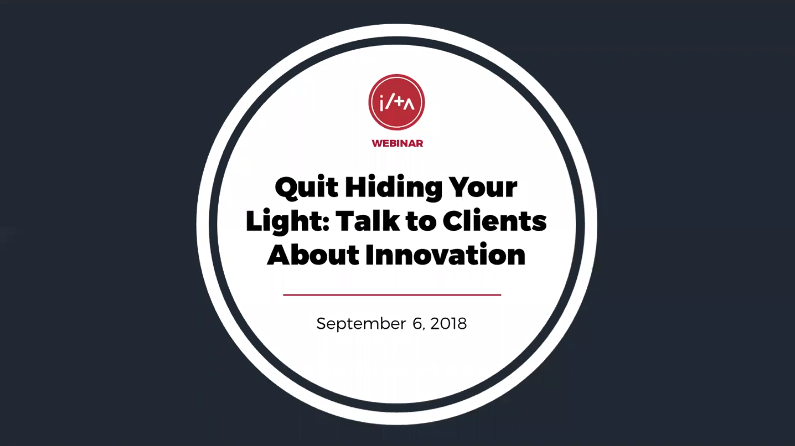 Join us to get tips on increasing awareness of your innovative capabilities among your firm's clients and pointers on connecting those innovations to solutions your clients value. Creating a culture on innovation takes time, courage and focus. 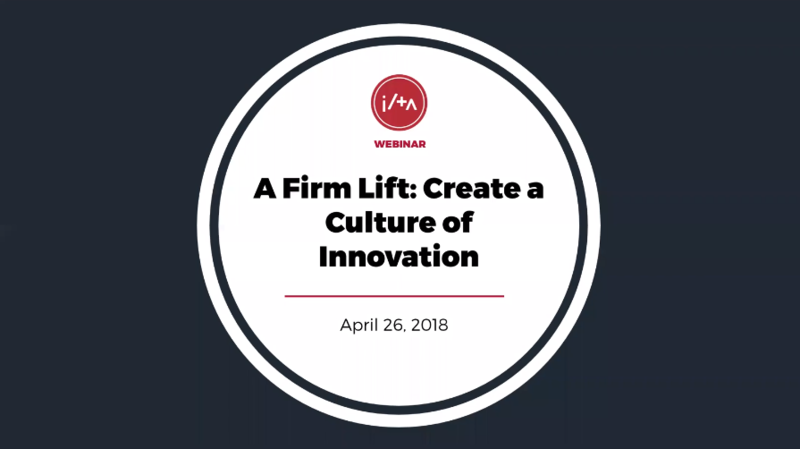 Join us for this webinar and learn how you can create a culture of innovation for your organization, from some of the leading practitioners in the field. Artificial intelligence (AI) is the hot topic in legal right now but for many, the reality has fallen short. Those that have embraced AI technology have mostly done little more than automate and streamline business processes. In part, this is due to AI being used as a point or departmental solution rather than being truly embedded within the organization. While these current applications of AI are delivering financial and business benefits, they are by no means maximizing the power and potential of embedded AI to ensure firms remain competitive now and in the future. Innovation is a trending buzzword in many industries today. As the world continues to get smaller and technology continues to promote new, simpler and more efficient ways of doing things, organizations serving any number of markets understand that staying competitive requires the delivery of their products and services in new and creative ways.